Then in June, a three CD box set with a book of comments and pics of…. originally released on Sanctuary in 2008. 65/66/67, with Brian Matthew interviewing Zoot before each track. Posted in music friends, recordings. 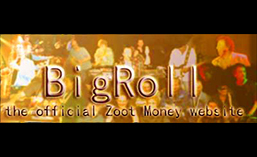 Tagged #bbc, #brian matthew, #flamingo, #live music, #maximumrnb #blues #britishblues #1960s #zootmoney #zoot #bournemouth #blandford #poole, #swinging 60s, #swinging london.